Western style has never looked better. 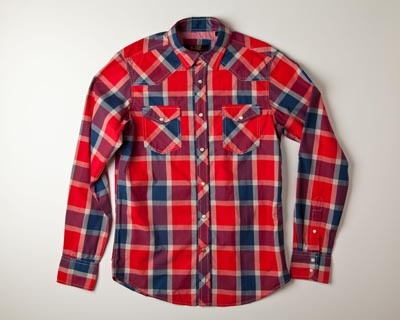 This trim-fitting Ben Sherman plaid shirt blends in with the crowd but manages to stand out. It's possible when the details are there: the Hoxton collar (slim, cutaway style), the pearl buttons on two front flap breast pockets, the contrast stitching. 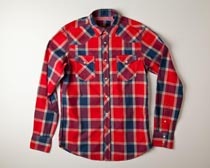 Awesome shirt for that big boy in your life.